Welcome to the most picturesque state of India, Rajasthan. 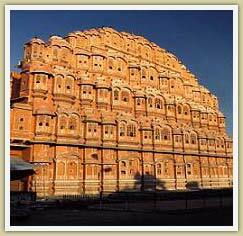 The culturally rich state of Rajasthan is popular for a range of things. The elephants, camels, bird sanctuaries, festivals and fairs, forts, luxury trains, folk dance/music, arts/crafts, and royalty…. 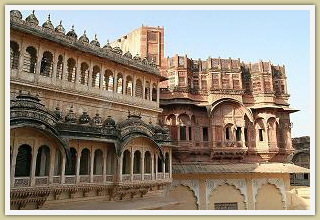 So the next time you are planning a vacation for yourself, family or friends do consider the royal land of Rajasthan. The land still speaks of the chivalry of its rulers; the palaces are evidence of the royalty that reigned for centuries. 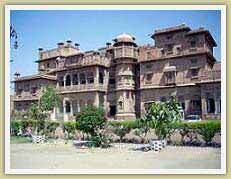 Rajasthan is the abode of the kings, that is, Raja's sthan (place). The most colorful region in India . An exotic land of valiance and chivalry. A land endowed with invincible forts, magnificent palaces and waves of sand dunes and serene lakes. The State represents an unusual diversity in all its forms-people, Rajasthani culture, customs, costumes, cuisine, dialects and music. No other region in the country assembles the many paradoxes of India as does the desert land of Rajasthan. Unexpected forest glens, lakes and temples appear like mirages in the deserts. On the crag are seen rugged forts, testimony to a turbulent history. Rajasthan, a land of princes, palaces and preening peacocks is renowned for its monuments, art and culture that go back to several centuries. Admire a range of miniature paintings and frescoes of exquisite refinement. There is romance in Rajasthani's forts and palaces and arts of gallantry retold in ballads and legends. Then there are sanctuaries sheltering rich and varied species of flora and fauna. And the shimmering Thar desert belt charms with a rare and amazing sight. Rajasthani's are a handsome people with colorful costumes. They express themselves in color and sound not easily seen or heard anywhere else in the country. Rajasthan overwhelms with colour found in bustling bazaars; in wide ranging costumes of its people; in streets where elephants and camels vie with buses and cars. The irresistible gamut of art and handicraft souvenirs will bewitch you. An exciting variety of Rajasthani delicacies will pamper your palate with a never-before gastronomic delight. Traveling too is a rewarding experience in Rajasthan. For it is organized on the lines of superlative standards. Modern air and train services, deluxe coaches and chauffeur-driven cars transport you quickly and comfortably to every wonder-packed corner of the state.